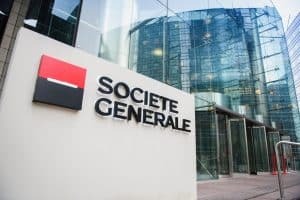 Societe Generale Corporate and Investment Banking has implemented transaction cost analysis (TCA) from BestX to its algorithmic execution service for foreign exchange (FX). The French investment bank developed its own FX algorithm tools to allow its clients to trade directly in the market, and the addition of TCA will provide its algo users with the ability to assess costs and execution performance of their FX transactions. Clients will also be able to access a set of analytics to measure various aspects of execution performance including spread and impact costs, and signalling risk. “BestX’s third-party evaluation to measure performance can help our clients make better informed decisions when choosing an FX algo provider,” said Keith Hill, global co-head of eFX sales at Societe Generale Corporate and Investment Banking. “Furthermore, BestX’s analytics can help clients assess many aspects of the execution workflow, which all contributes to raising industry standards and offering clients best-in-class solutions,’ he added. This is the latest in a string of business partnerships for BestX, after having implemented its TCA service at State Street and FlexTrade earlier this year. JP Morgan was the first FX banking client to sign up to use the vendor’s technology and TCA, following client demand for independent third-party analysis. “It is another important step towards our goal of delivering the industry with an independent, consistent and unbiased analytical framework with which to measure execution performance,” BestX co-founder, Pete Eggleston, commented.